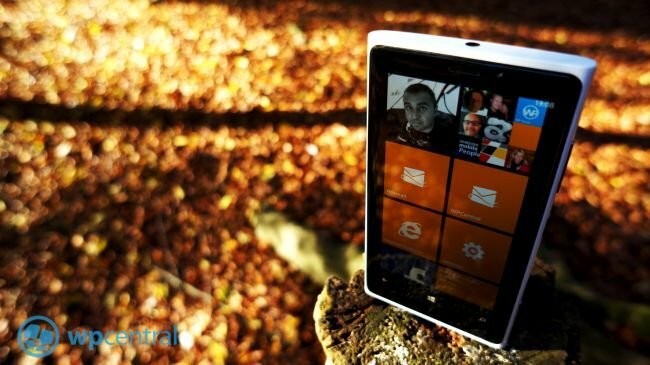 Nokia have firmly established themselves as a major player in the Windows Phone market. Their devices have been consistently regarded well and their marketing efforts have seen them establish ‘Lumia’ as a powerful and recognisable brand in its own right. With the advent of Windows Phone 8 we saw Nokia strive to produce the definitive ‘hero’ device of this generation. The Lumia 920 packs some serious specs and for some it’s seen to be the best device of this current crop of phones. It isn’t all about the speeds and feeds, it’s about a cohesive package consisting of exclusive apps, hardware and of course Windows Phone 8. 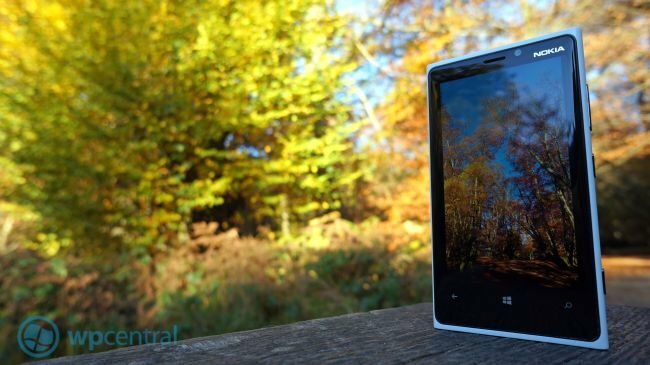 We've previously reviewed the Lumia 920, which is well worth checking out for the in-depth analysis, but it is from this perspective I’m going to look at how successful it really is. I have been using the 920 for about two weeks now, handed to me in temporary packaging and lacking some of the Nokia exclusive apps it was a strange first experience. My first impressions were free of the slick packaging and polished Nokia apps, this turned out to be a great insight, leaving me staring at the core themes within the device. This was just the Lumia 920 and Windows 8 in its raw form, almost unfinished. The hardware of the Lumia 920 is undoubtedly wonderful. I was given the glossy white version of the handset and must say I have become rather fond of it. I really had my doubts about owning such a large device, being involved with the comparison guide to the Windows 8 devices I kept staring at that weight with real concern. My fears evaporated the first time I held one in my hand, it feels fine, it has a ‘heft’ for sure but it doesn’t feel that much different to my Lumia 800. I actually prefer its extra presence but that’s not to say I wouldn’t like the same device in a half-its-weight variant either. Unless you have very small hands then you needn’t worry about the weight or the size of this handset. The screen is gorgeous to look at and I far prefer it to the display of the Lumia 800, I find I’m simply able to view it for longer periods. The 920 is very responsive to touch and keeps up very nicely indeed with gestures and scrolling through those new like tiles. The Camera is superb and although there have been some complaints about daytime photography I haven’t found it to be a problem. The night photos are simply stunning and indoor shots in low light without a flash will be an instant hit for many, especially those who like taking photos in clubs and pubs! One area that needs some focus is that of sound quality, I happen to use my phone as a music player. For some, music on a smartphone isn’t important, it is for me as I don’t want to have to carry around multiple devices on a casual basis. 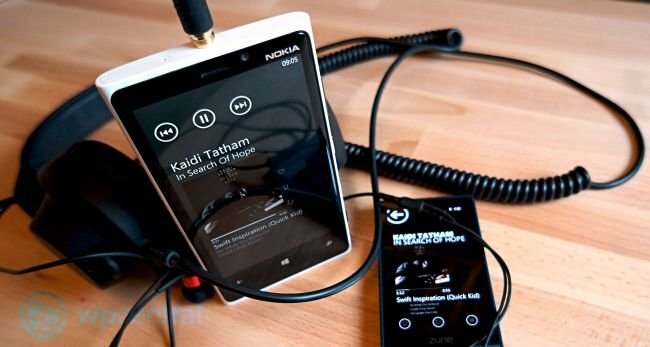 In a bid to improve sound quality on the Lumia 920, Nokia have something called Dolby headphone which uses DSP effects to ‘enhance the sound’ output. "The Lumia 920 produces sound that is good and in many cases very similar to that of the Zune HD..."
I will be blunt here, I do not like EQ’s and I certainly don’t like effects being applied to the output of my music, I want to hear it like the musician made it. The only controls I like to use on my music are volume up and volume down, if I feel the need to alter (or colour) the music then I have simply bought the wrong device. If you are someone that does like EQ and subtle effects on the music then the Lumia 920 will please, it allows enough tweaking to get the sound just right without going over the top. I have been testing the 920 against the Zune HD, direct output from my home stereo and on a variety of headphones, from in-ear units to some dang-big cans. The Lumia 920 produces sound that is good and in many cases very similar to that of the Zune HD, that’s a good thing in my book. Without the Dolby effects switched on it holds its own. There have been times though when I have heard digital noises in quiet moments during in the music which is less than ideal. I still feel that the sound doesn’t feel punchy and dynamic enough at times but your millage may vary. If you like your volume good and loud then the Lumia shouldn’t disappoint, the output levels are actually very high, mind your ears.. Overall the Lumia 920 does a good job of music playback that should satisfy the EQ fiddler and the folks who don’t like to colour their sound equally. On a platform level Windows Phone needs to add support for higher quality sound files, seriously, we don’t all like to listen to compressed music. I think more could have been done to elevate the sound output of the Lumia 920 without the DSP effects. Still the 920 does a good job and it is good to see some emphasis being put on improving sound quality in general so marks go to Nokia for that. Find out where you are and where you’re going! As I mentioned in my intro this phone was handed to me without all the bells and whistles that I’m usually accustomed to with Nokia phones. It’s only when something is gone that you truly realise how much you value it. When Nokia first entered into the Windows Phone space they brought with them a collection of apps and services that they engineered with their previous smartphone platforms. The biggest and most important of these platforms is centred on location. To the consumer that simply means mapping and navigation apps. These have become so important that Windows Phone 8 has a Nokia made location engine built right in. The operating system is now responsible for downloading and updating offline maps for us with all location based apps. The 920 with its huge high resolution display is the ideal hardware to experience the changes that come with Windows 8 and Nokia’s location apps. On Windows Phone 7.x devices we used the very capable Microsoft-developed Maps application, able to provide directions, key points of interest through Local Scout and offer up some different views too. Performance of that app is actually outstanding, being extremely fast and smooth to use, scrolling and zooming are impressive indeed, almost a selling point. "...the update quality of the maps is not as smooth or glitch free as maps on Windows Phone 7, which admittedly is incredibly smooth." Nokia Maps replaces that app on the Lumia devices and offers some important new features such as the ability to use maps offline and synchronise your favourite places with your Nokia Account. They have also done a better job with how discoverable the valuable ‘Venue Maps’ feature is. You’re able to easily see which venues have a detailed floor plan and drill into various levels for more information. It’s pretty slick and I have written about it in detail before so please go and check that out. There are still more features and updates coming but right now Nokia Maps on the Lumia 920 has a few issues I need to point out. Firstly the update quality of the maps is not as smooth or glitch free as maps on Windows Phone 7, which admittedly is incredibly smooth. Pressing on the ‘locate me’ button in Nokia Maps does not always zoom in to where you are situated in a consistent way, often just centring the map rather than zooming in. In turn that means you’ll need to pinch or tap to zoom in and that can be a little annoying when busy trying to get on with actually navigating. The first thing I noticed when using the maps was that the satellite imagery for Nokia Maps is not as high resolution and looks to be older than the Windows Phone 7 app it replaces. A good example of this is the images of the Olympic Stadium here in London, on Windows Phone 7 they look crisp and detailed whereas on Windows Phone 8 the site is in less advanced stages of construction and the quality just isn’t the same. As far as the user interface is concerned with this key app there are also some niggles here and there, unlike Windows Phone 7, Nokia Maps doesn’t have a way to ‘clear’ the map of directions or places of interest, you need to press the back button. This feels extremely counter-intuitive and I’d like to see the addition of a clear option make its way back in a future update. 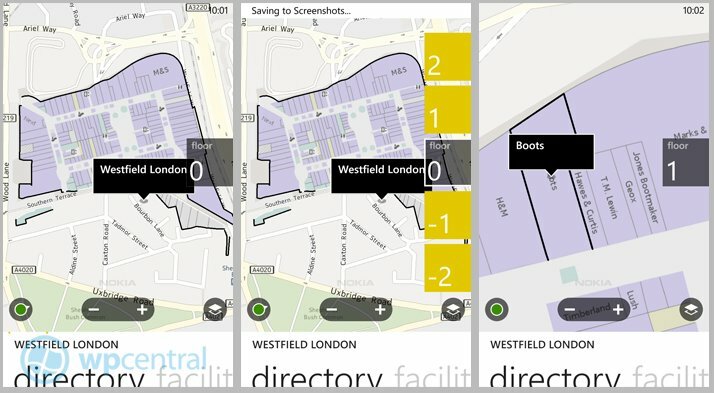 There is plenty to like and even love about the new Maps application; maps look stunning on the Lumia 920’s 4.5” display and its far better to look at when out and about. I also found the tracking on the new Nokia to be spot on, often being quicker at finding my present location than my Lumia 800. When it comes to directions the app can serve up choices for pedestrian, public transport and car all in one place. The user interface around this crucial part of the app is done well and directions are given in clear and visually easy ways to interpret. You even have options to share your route plans, venue details and even pin your route to the start screen too should you need to. Best of all is that you can do all this offline, no need to use your precious data. Want to plan your route while you’re still stuck on an underground train now Nokia Maps has you covered, plan it, pin it and hit the ground running at the other end. Even at this very early stage Nokia Maps offers some key improvements over maps on Windows Phone 7. To put this over the top it still needs those promised turn-by-turn pedestrian voice prompts and some user interface and performance tweaks. We need to add that the app itself takes between 4-6secs to start-up opposed to the near instant opening of maps on Windows Phone 7, this is quite a concern. We’d expect these gaps to be filled rapidly seeing as the Lumia 920 should be showcasing the best of Nokia’s location platform features. I only recently passed my driving test after years of avoiding the task and Nokia Drive on Windows Phone 7 was really helpful at getting me acquainted to some key routes in and around London. I used Nokia maps totally offline while I was in the South of France and it performed like a champ. I have come to rely on this product in a way that I didn’t expect and of all Nokia’s apps this one is of key importance to my daily life. Nokia Drive+ offers a key improvement over Windows Phone 7’s version of Drive; you can now tailor your journey by adding or removing certain conditions. You now have options to avoid toll roads, motorways and other key situations. The clarity of the maps and update speed has also benefited from the underlying platform improvements and actively add to the experience when in use. But really the question is how does it perform with the important task of getting around? In my testing the app performs for the most part as well as its Windows Phone 7 brethren but perhaps due to the early nature of the software there were noticeable differences. Nokia Drive+ seemed much more sluggish at recalculating routes and also exhibited a tendency to attempt looping me around to the same route even though I stolidly ignored its advice after many miss-turnings. The app also introduces some other options for navigation voices prompts, it’s now possible to have the street name announced instead of the usual left and right style prompts. In testing the announced street names is not as loud or clear as that of the recorded voice but it certainly did the job well enough. I happen to prefer to get the left and right for clarity and don’t care much what a street is called. Either way you now have a choice and choice is good..
With the release of Windows Phone 8 and Nokia Drive+ I had high expectations for this key app but it is still lacking the long promised “my commute” feature and also doesn’t sync with my cloud favourites from Nokia Maps. The Lumia 920 has a huge screen and I’d like to see a detailed list view of the upcoming direction incorporated into the main navigation display. More options for seeing and tailoring the route would also be a great help. How about some voice commands that utilise Windows Phone 8’s better speech API? I’d ask ‘Where’ these features are and say they should be ‘Here’ now… Even with my minor quibbles and wants for future features, Drive remains an incredibly capable navigation app that no Windows Phone owner should miss out on. I only hope much more is in store when it comes out of beta. You can get some transit directions from Nokia Maps but they don’t quite cover all the bases. 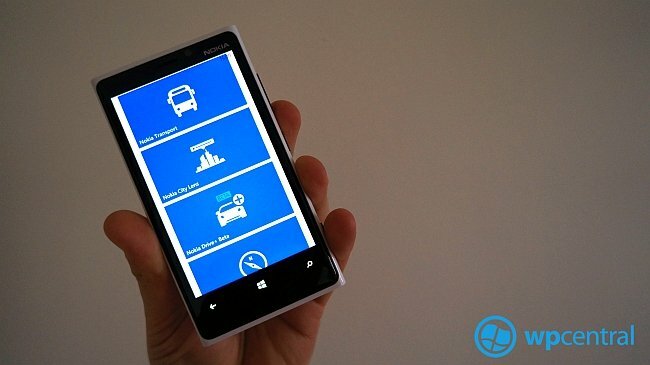 Nokia Transport fills in the gaps by giving you routes on busses and the metro while presenting them in an easy to use flow chart. If you leave in 3mins it could be one journey option or if you leave in 10mins then that might mean a better combination of bus and train. It relies on live public transit information so it will factor in when busses arrive and even leave out metro journey routes if there are problems on the line. If you’re interested to find out more, I have previously written more on this update. I would like to at least have the app be capable of doing some offline routing of busses and metro systems in the event of loss of signal but on the whole it does a fine job of helping out in those urban situations. Everything must fit together for this device to work and so it’s at this point I must move onto how this all works together holistically. 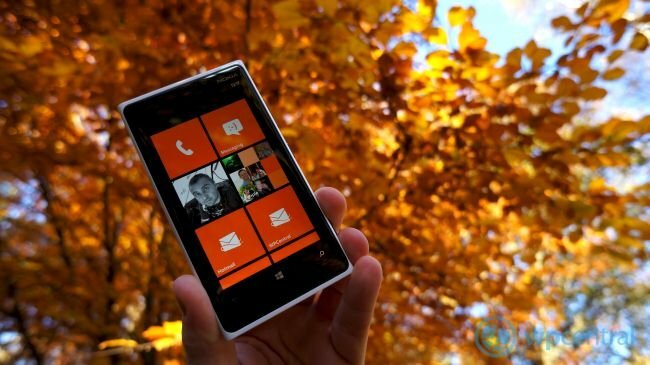 Windows Phone 8 provides the base for all the magic to happen and it runs like a charm on the new hardware. Even now I find myself surprised by just how quickly and effortlessly the new OS moves on the Lumia 920. Over the many months in the run up to the launch we got to hear about all the new features of Windows 8 before it arrived. Many had even expressed concern that Microsoft needed to reveal one last headline feature at its launch, feeling that there simply wasn’t enough ‘new’ in the OS reboot. I have formed an opinion over the last two weeks that the best feature of Windows Phone 8 is that it works so well and feels so stable, it’s remarkable. Being a complete platform upgrade I was expecting some issues, even small ones, there are simply none to worry about. The situation with apps is that most, if not all of them will work, the more exotic apps from Windows Phone 7 are on their way but right now much of the existing catalogue just installs and runs like before. There is room for plenty of improvements to Windows Phone, sure, but we now have true over the air updating capability, they will come. I will leave my thoughts on that to another time. 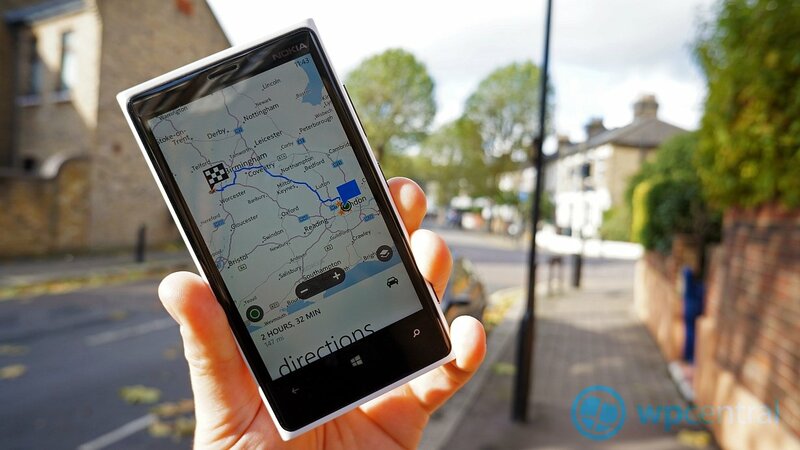 In providing their location platform for inclusion into Windows Phone 8, Nokia have transformed the OS into a mapping powerhouse. The inclusion of offline maps is likely going to transform apps in ways we have yet to see. 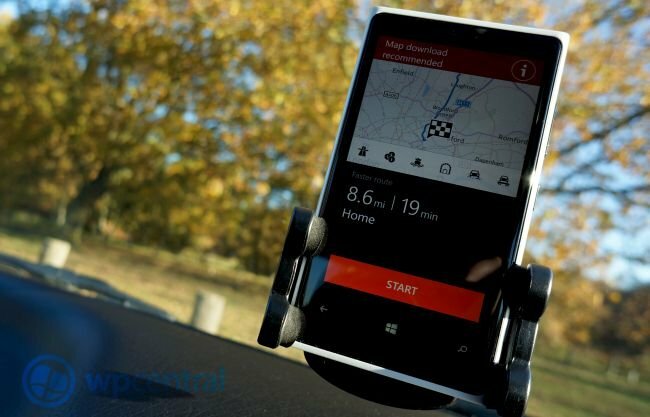 The Lumia 920 showcases perfectly how well Nokia can marry their own unique offerings like Drive and Maps into a package that is hard to resist. If the hardware isn’t enough to convince you this is worthy of a close look then the included assortment of software extras should make the decision for you. So strong now is the pull of their package of apps such as Nokia Drive, Nokia Maps, Nokia Transport, Nokia Music and the early exclusives that many simply cannot consider another handset manufacturer. The strength of this set of apps and services and hardware is perhaps the reason why I think the Lumia 920 will likely be the winner in this first salvo of Windows Phone 8 devices. How well they continue to innovate on top of the platform remains to be seen but from their track record so far those who buy into Nokia get arguably the best overall deal. ***UPDATE** For those that have asked this holder is not something I can reccomend, it doesnt work with the 920 too well due to the pad placements. If I find one that does I will be sure to write it up quickly.